This years E3 brings a mix of new and expected titles ranging from Tomb Raider, to Kingdom Hearts 3 and some unexpected Final Fantasy and Monster Hunter crossovers. We've compiled the full list below, along with their respective trailers. Shadow of the Tomb Raider - Seemingly a prequel to the games we've come to love. Final Fantasy XIV - New events and a special Monster Hunter crossover event for the latest patch. The Awesome Adventures of Captain Spirit - A free to download game set within the Life is Strange universe. Dragon Quest XI - A colourful trailer for the latest Dragon Quest title, with some exclusive content being released for the mobile game of Final Fantasy: Brave Exvius. Babylon's Fall - Very little shown, but appears to be some kind of fantasy/medieval action title being developed by Platinum Games. Nier Automata: Become as Gods Edition -This is coming to Xbox with all previous DLC included. Octopath Traveler - An old school sprite RPG experience, this looks to be a nod to the days of Final Fantasy 1 to 6. Just Cause 4 - Rico Rodriguez returns for this latest action packed adventure, now with a fully customisable grappling hook. Kingdom Hearts 3 - Arguably the most expected title of this years E3. We see Axel sitting with Kairi, Aqua in a fairly bad situation, seemingly walking the path of Terra and the Organisation XIII oddly on speaking terms with Sora's team, with Xigbar even giving Sora some advice. In my opinion, Square's show this year was fairly weak and I feel a lot of what was shown could have been revealed next year, when there's more content and gameplay available to give us a greater feel of what's to come. As it stands, many of the titles had little gameplay on offer and were more just a tease of things to come. Naturally, there was also no news of Final Fantasy 7, following the recent news of moving all development to their in-house studio. 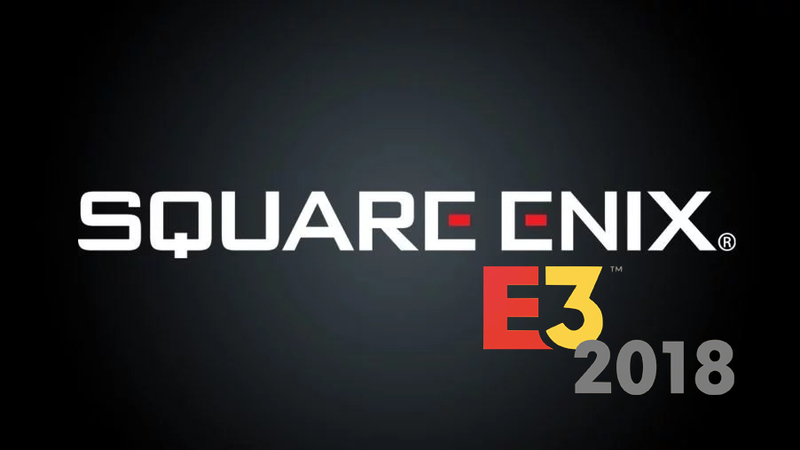 What did you think of Square-Enix' E3 this year? Have a difference of opinion? Let us know in the comments below or hit me up on twitter @CaptainCortez.